Plot: Mary Stuart's attempt to overthrow her cousin Elizabeth I, Queen of England, finds her condemned to years of imprisonment before facing execution. Starring: Angela Bain, Richard Cant, Guy Rhys, Thom Petty. 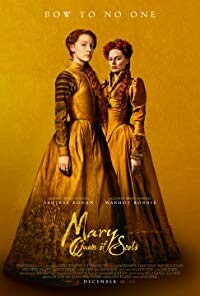 distributed by Focus Features «Mary Queen of Scots» in the US movie theaters released on December 7, 2018; dvd and blu-ray release date was set for February 26, 2019. Rent from Netflix and Redbox from February 26, 2019. «Mary Queen of Scots» in the UK released in movie theaters on January 18, 2019. DVD and blu-ray release date scheduled for May 20, 2019.